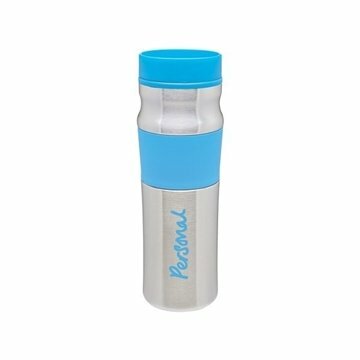 16 oz double wall stainless steel tumbler with foam insulation, plastic inner wall, easy-clean push-on swivel lid, and silicone grip. the size and the printing of the logo were very nice. The quality of this item is definitely excellent. It was a phenomenal gift! Really impressed us. They showed up each day sooner than expected. Good quality for the price! Members were very happy! the quality of the product and the logo addition as well. My order was high-quality and shipped quickly.